If it's good enough for the queen, it's good enough for us. 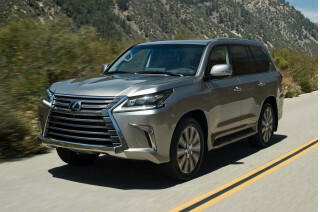 The original luxury SUV is so good, in fact, that it remains the best offering in its segment despite serious competition from Lexus, Lincoln, Mercedes, and most recently, its parent company, BMW. 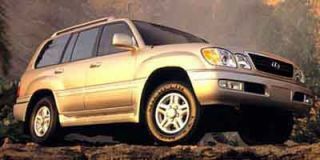 For year 2000, this upscale sport-utility vehicle that boasts great off-road ability and luxuriant trappings has only minor changes, including trim updates and reduced engine emissions. Call it stodgy, boxy, or downright imposing, Range Rover's sheet metal (lightweight and rustproof aluminum over a stout steel frame) projects its unflappable, go-anywhere performance. This year, the bolt-on body hardware has been significantly freshened. 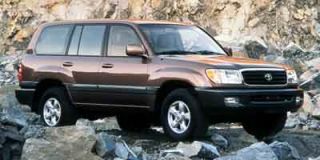 Body-color bumpers, front spoilers, and exterior mirrors now grace the exterior. Front and rear turn signals and side marker lamps use smoke-gray plastic lenses for a more modern, sporty look, while new headlamps and fog lamps add to the familial resemblance to the newer, more svelte Discovery Series II. The 4.0 SE models now ship with the "Lightning"-design 16-inch alloy wheels. Two new paint hues, Alveston Red and Kent Green, are added this year, and color combinations have been expanded: Whereas in 1999 only certain interior/exterior combinations were produced, customers can now mix and match at will. On this side of the pond, we're treated to two versions of the Range Rover, both assembled in Land Rover's Solihull factory. On paper, the 4.0-liter 188-bhp SE and 4.6-liter 222-bhp HSE differ only in displacement, tires, and mudguards, not to mention $8,000. But on the road, the HSE's 64-lb-ft torque advantage makes all the difference in the world, giving the unhurried Range Rover the guts it needs to compete with the fine powerplants from Lexus and Lincoln, and for that matter, the rest of the globe. 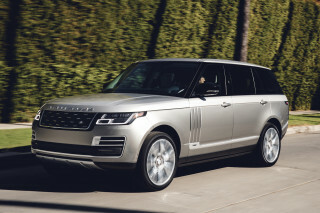 Both of Range Rover's engines meet California's Low-Emission Vehicle (LEV) standard this year, thanks to new catalytic converters and secondary air pumps. An electronically controlled automatic is the only transmission offering; it allows manual +/- gear selection or uses a driver-adaptive shifting program when in "drive." Though Land Rover may take some lumps from purists, the traditional (heavy, complicated, maintenance-intensive) 4WD system, with its locking differentials, was scrapped last year in favor of an all-electronic routine similar to the one introduced on Mercedes' ML 320. 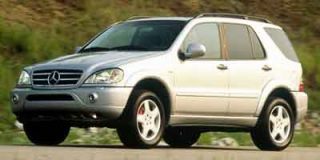 Using existing ABS equipment and open (unlocked) differentials, a computer program curbs errant wheel spin at each corner of the vehicle by applying momentary brake pressure, providing forward motion as long as a single wheel has grip. Combined with Range Rover's standard driver-adjustable, self-leveling air suspension, short overhangs and excellent ground clearance, off-road performance is arguably second to none. 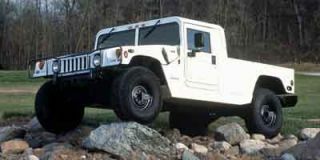 And though it's unlikely that many will have tours of duty in the woods, the underbody is well protected against the rocks and stumps that could tear clean through the floor of lesser SUVs. Powerful brakes haul this 2.5-ton beast to a controlled, quick stop, and emergency handling is quite secure due to Range Rover's wagonlike low center of gravity. When cruising, ample sound deadening keeps the cabin Euro-sedan quiet. A tall, comfortable seating position and a small-diameter, meaty steering wheel make the British ute one of the best vehicles around for long-distance travel, if one doesn't mind fuel economy in the middle to low teens. Inside this capable trail climber (which kneels politely to ease entry, thanks to its air suspension), you'll find all the amenities expected by the choosy royal family. Automatic climate control, leather, and CD changer are there, of course. But the details make the difference — the Range Rover offers a tasteful narrow band of burl walnut and well-tailored seats, trimmed by unique dark piping. Side airbags are standard equipment. This year, Land Rover revised the cup holders and instrument graphics, and applied a healthy dose of retro chrome to the H-gate gearshift surround, shifter, and handbrake buttons. Kings and queens never seem short on funds, but for most of their subjects, the lofty price of the Range Rover will keep it out of reach. 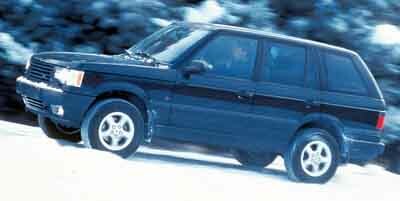 Here's a tip though: If you're willing to sacrifice the smallest bit of prestige to save a few pence, consider the Land Rover Discovery Series II. 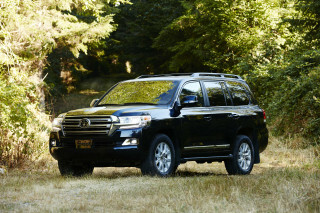 Sharing the structural and mechanical underpinnings of its more expensive brother, it equals the on- and off-road performance of its sibling while offering more cargo room and seating for seven. Looking for a different year of the Land Rover Range Rover?